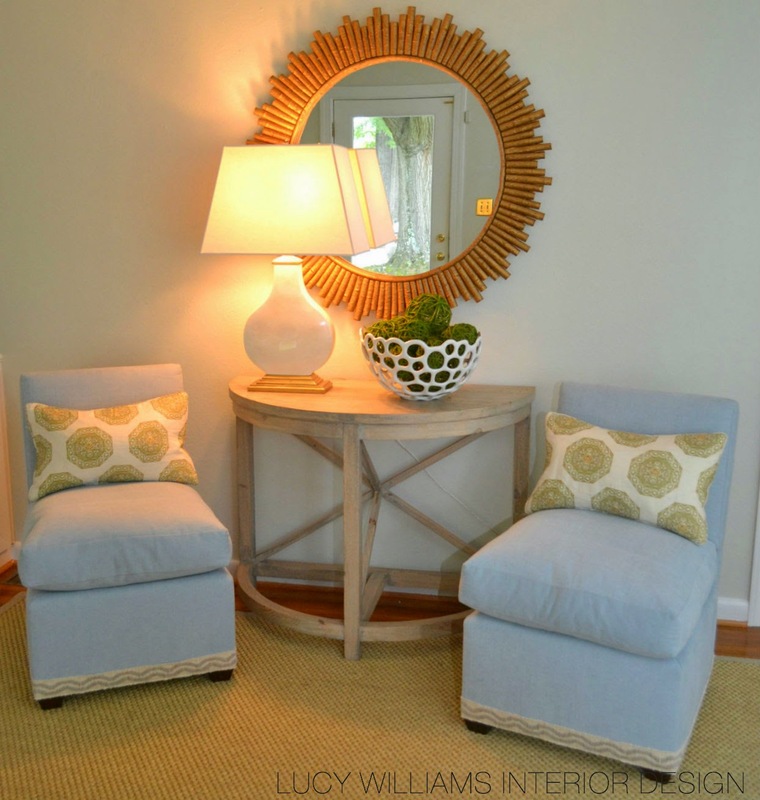 LUCY WILLIAMS INTERIOR DESIGN BLOG: AT HOME: REARRANGING & NEW STUFF…..
i started rearranging pillows this past weekend…..and decided i liked these pillows i stole from my family room for my living room…..and decided to steal the lamp too! omg…why didn't i do this before??? then i realized i needed pillows for the family room……I'm kinda thinking I LOVE this!….fun things are in the works…..stay tuned!! 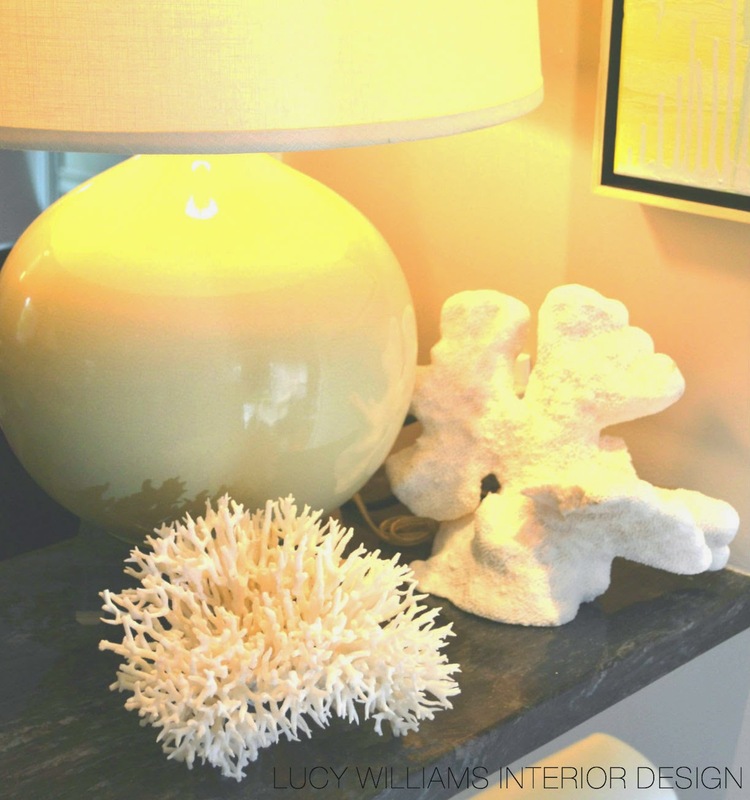 i found a new coral wholesaler and decided to place a small order to "test" it out…..and I'm PSYCHED! 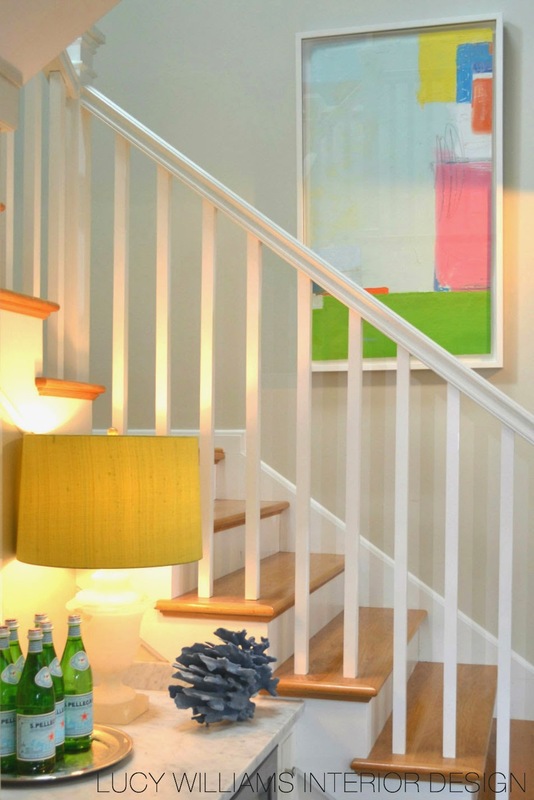 got some new pieces for clients…but I'm totally going to try them out at my house first! 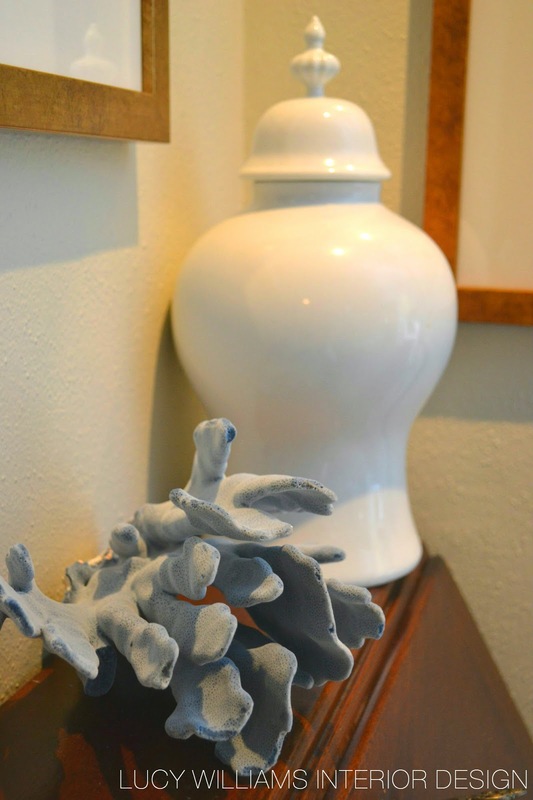 this blue coral is killing me….and love it on top of marble…. also matches my neighboring painting…. and around the corner…a smaller version! Love it all! 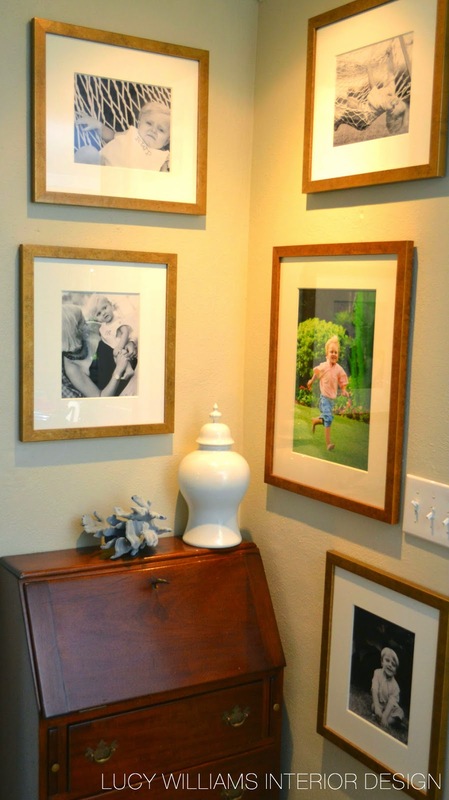 Where did you find the picture frames that are on the wall? thx sarah-they are custom and were framed at a local framer-thx for liking! I am an avid follower of your design work and your art, Ms. Williams! I ditto the comment above; do you mind revealing the source for those lovely picture frames? Thank you for the beautiful inspiration, as always! thx jenni! 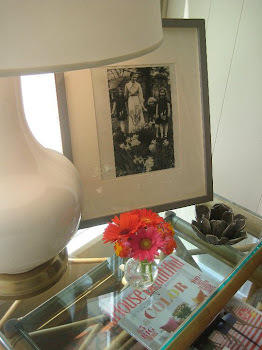 the frames are custom-and i recommend extra thick matts-they cost more but well worth it! It looks so beautiful, Lucy. 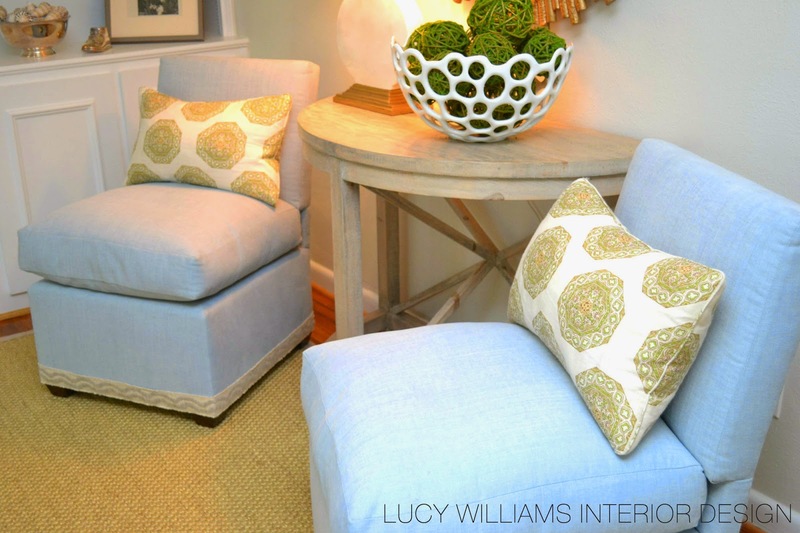 Love the pillows in the slipper chairs and adore the fabrics for your family room! Needing those amazing coral for Beaufort!! i'm screaming!!!! i need that coral. in every color. and every size! loves it!!!! I'm not into wall photos or painting but this looks nice. Is that an abstract painting on the wall? 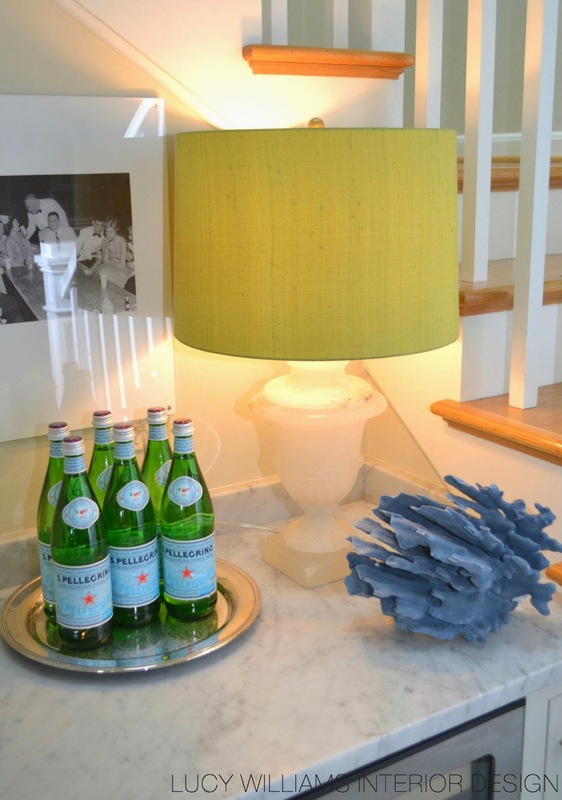 I love that demi-lune table. Did you have it made?